There’s no shortage of self storage facilities today, and that means you have to make sure yours stays competitive. Even if it seems like there’s a lot of demand for storage in your area, customers aren’t going to toss their valued belongings in just any old unit. 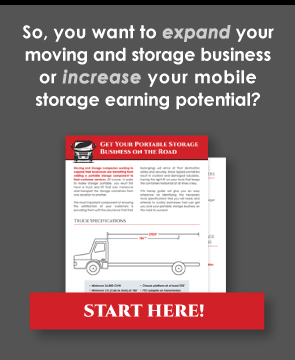 To ensure you have the best chance of getting customers to rent at your self storage business, look at these four ways to increase your competitive edge. You can’t get customers if they don’t know you exist. Look at your advertising strategies, both your ads and your immediate signage. Spruce up old signs that have faded and add banners to the front of your building; if it’s like other self storage business facilities, the building itself is likely nondescript, so banners and new, bright signs will make your building stand out. Try placing ads on social media. You can start by looking into promotion programs that place your ad on more pages within each social media platform. If you can, invest in billboards – they’re one of the best ways to get passersby to notice your business name. Regardless of the climate you live in, storage units can become very humid and hot in summer and freezing in winter. Offering basic climate control can make your facility a lot more attractive, especially if you live in an area that sees extreme temperatures. Note that climate control doesn’t mean that you’re keeping each unit at a comforting 72 degrees. What it means is that you’re keeping the units at temperatures that are not as extreme as they’d be without the climate control. So in summer, for example, a non-climate-controlled unit might reach 95 degrees during a heatwave, but a climate-controlled unit might stay at 85 degrees. This helps protect items from drying, cracking, or melting. Consider adding a few perks like a small box truck or two that you can rent to customers who want to move. You’ll have to talk to your insurance agent about adding these, but having a small fleet not only gets you more money, but also helps your customers who have to make emergency moves. They get a “one stop shop” type of experience that makes the move a bit easier. Another perk is a dumpster and recycling bin duo. You don’t want to encourage people to dump all their belongings, but it’s nice to provide a place where someone can leave an empty water bottle or some old tape that they removed from a box. Storage can be expensive over time, but if you add portable storage pods, you can offer your customers a cheaper way to store items for the short term. These pods can be stored outside on clean concrete pads (behind locked gates, of course), or you can store them in a warehouse and offer limited access for a cheaper price.